The Venezuelan military has characterised General Francisco Esteban Yanez Rodriguez' decision to switch sides and recognise Guaido as a betrayal of the highest order. In a post on one of its official Twitter accounts, the armed forces stressed their continued loyalty to the Maduro's government. "We in the Armed Forces will not put up with such actions. The Venezuelan Air Force remains loyal to our president, and we will prevail in spite of such traitors," the military said, posting an image of Yanez with the word 'TRAITOR' written across the picture in bold red letters. Other officers and military departments similarly attacked Yanez over his desertion, with the air force's official account accusing him of being an "unworthy man of arms" who has "betrayed" his oath of allegiance and "kneels before imperialist demands." 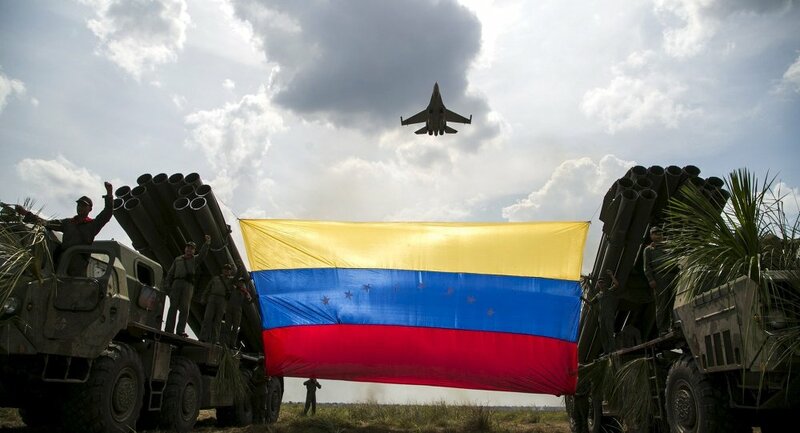 The account of the country's military flight training centre insisted that "for every traitor, thousands of patriots will emerge who will know how to defend Venezuela." Earlier Saturday, in a clip circulating on social media, General Yanez, director of strategic planning at Air Force high command, denounced President Nicolas Maduro's "dictatorial authority" and said he recognised "Deputy Juan Guaido as the president in charge of Venezuela." Saying that he was confident that 90 percent of the country's military were supportive of Guaido, Yanez insisted that "the transition to democracy is imminent," and urged Venezuelans to take to the streets for mass protests. Protesters did come out on Saturday, with both pro-government demonstrators and Guaido supporters taking to the streets of the Venezuelan capital despite fears of possible clashes. Yanez is now the highest-ranking officer to defect to Guaido's side. Last week, Venezuela's Defence Ministry accused Col. Jose Luis Silva, a military attache at the Venezuelan Embassy in Washington, of committing "an act of treason and cowardice toward the homeland" after the officer said he did not recognise Maduro as Venezuela's president. Guaido denounced Maduro and proclaimed himself the country's interim president, pending fresh elections, on January 23. The United States, its allies in Latin America, Canada, and several European powers have expressed their support for the lawmaker. Russia, China, Mexico, Iran, Turkey, Cuba, Bolivia, and Nicaragua have voiced their support for Maduro as the country's legitimate president, and called on outside powers not to meddle in Venezuela's internal affairs.